HomeCinemaMasalaBollywood’s leading ladies join the singing bandwagon. Bollywood’s leading ladies join the singing bandwagon. Bollywood’s young brigade of actors are expanding their horizons and are venturing into singing in addition to acting. After Farhan AKhtar turned singer for Rock On, Bollywood actresses soon followed suit. Shraddha Kapoor was the first among the young lot to sing. Shraddha Kapoor had started this trend, by lending her voice to a number of songs from films like Ek Villian, Haider and her latest ABCD 2. Shraddha is also to sing all tracks for her upcoming film Rock On 2. Shraddha’s singing is loved by all, soo much so that her versions of songs have surpassed the views and likes than the original versions. Shraddha has managed to instill herself as a singer in addition to an actor. Alia Bhatt joined the singing bandwagon with the unplugged version of Samjhawan. She has been seen singing and having a great time during events, unaffected by the media presence. The young actress has developed confidence in her singing abilities after her very first unplugged version. Sonakshi Sinha grabbed the opportunity to sing by turning into a rockstar during IIFA 2015. The actress turned singer during IIFA rocks. She also has another association with singing as she is a part of the judging panel in one of India’s well known singing reality shows for Kids. It is heard that Kriti Sanon will soon join this trend and turn singer with one of her upcoming films. Kriti who had managed to touch hearts across the nation with her debut performance is keen to experiment. 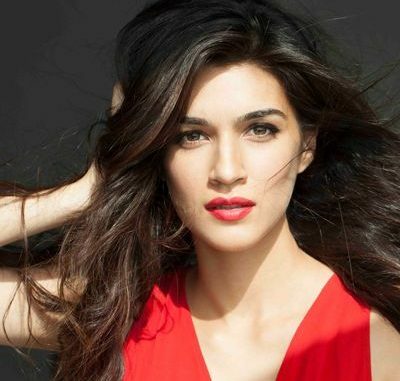 Thus leaving her fans curious and eagerly waiting to watch what their beloved Kriti has in store. In addition to Kriti, even Parineeti is said to have been eager to lend her voice to a song. Parineeti who has undergone major transformation in her look, is set to surprise her audiences with much more. Pulkit Samrat had a fabulous time shooting for Banigstan. It was a reunion of sorts for Pulkit. Is Khloe Kardashian Trying Too Hard? Meryl Streep: Singin’ In The Rain? Donna Summer Dim All The Lights, Warren Beatty’s Coming!